The first settlers of Ipswich were assigned town lots, and every man (and a few women) who built and owned a house, became forthwith a Commoner and had certain definite rights in the Common land. Unfenced tillage lots beyond the residential area were assigned to the householders in areas set apart for this use. 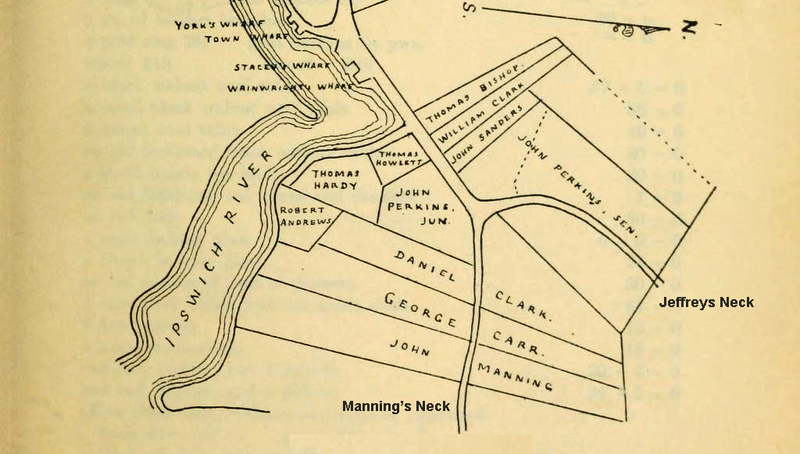 On January 26, 1634, a tillage lot of six acres was granted to John Manning on a “neck of land” along today’s Newmarch Street. Three years later he was granted a house lot “bounded on the west by a highway leading to the river, and at the South by a houselot of Thomas Hardy on the crossway leading toward the Mill.” The small peninsula was commonly called “Manning’s Neck,” into the Twentieth Century. At its southern end is Nabby’s Point, a granite projection that makes the River take an abrupt change of course. The origin of the name is forgotten, perhaps a fellow long ago whose job was to loop hawsers from sailing ships around a ring in the rock so that they could make the turn. The oldest house on the point was the home of artist Carl Nordstrom. The Ipswich River follows a minor fault through the town of Ipswich, with the result that Nabby’s Point and the bay at the end of Tansey Lane match each other like the result of continental drift. Newmarch Street was the early road to the Robert Paine farm and Diamond Stage. John Manning’s widow Susan was left with the grant of a house lot on February 15, 1638, “lyeing in the Swamp near the Mill Street, bounded by Hugh Skerrit’s on the north East, and a high way on the South west.” Later generations of the Manning family became physicians, and the homes of Dr. Joseph Manning, Dr. John Manning and Dr. Thomas Manning are all still standing in Ipswich. The map of original land grants shown above is from “Ipswich in the Massachusetts Bay Colony” by Thomas Franklin Waters. In 1715, Hon. Andrew Burley Sr., a wealthy member of the probate court purchased tillable land on Mannings Neck from John Hovey, who had obtained the lot from his uncle Nathaniel Hovey. This upland remained in the Burley family until the death of Andrew Burley in 1753. 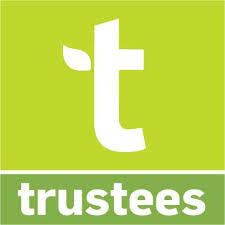 The estate was inherited by his two sons, Andrew and William, with their mother to live in the house until her death. 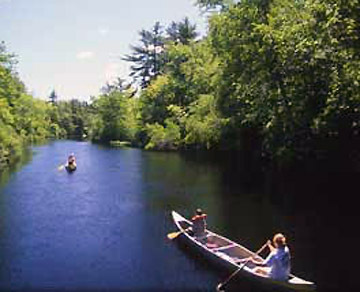 In 1754, Andrew Burley Jr. and his wife Hannah (Burnham) Burley sold the upland lot to Sylvanus Lakeman to pay off the outstanding debts of Andrew Sr. 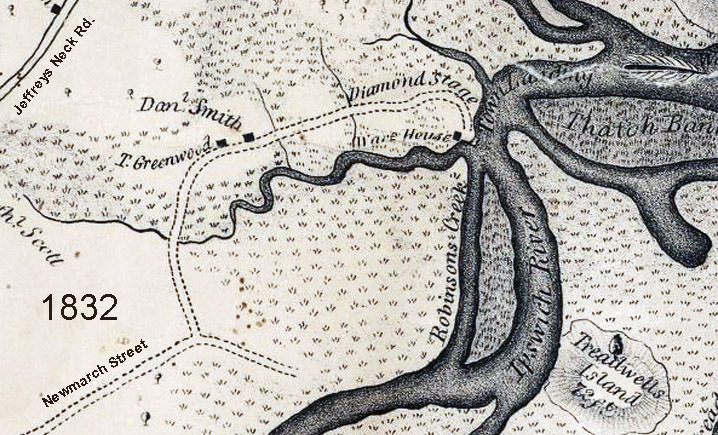 The lot is described as four acres more or less on Manning’s Neck, bounded southerly by land of Thomas Newmarch; northerly by land of Elisha Perkins; and easterly by land of Lakeman. 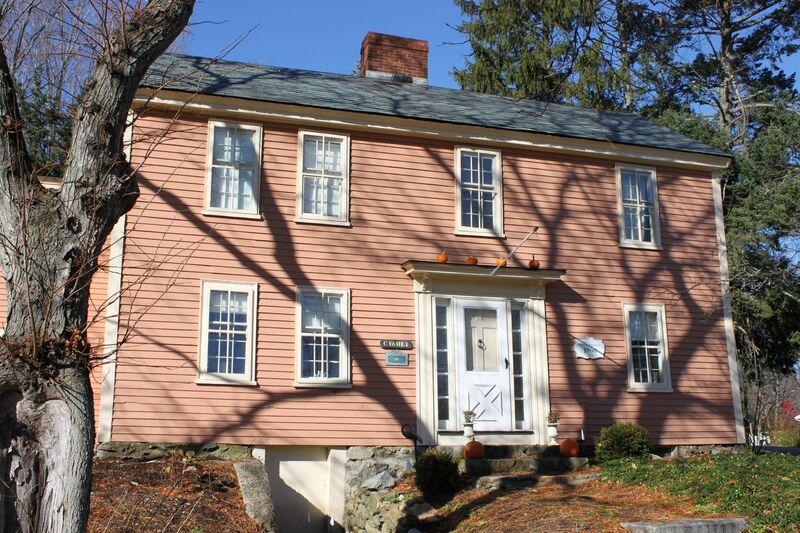 John Manning’s neighbor Thomas Hardy arrived as an indentured servant but soon gained his freedom. His was reportedly the first frame house to be built in Ipswich. The small foundation, just past the Newmarch-Spiller house by the river was still discernible at the turn of the 20th Century. 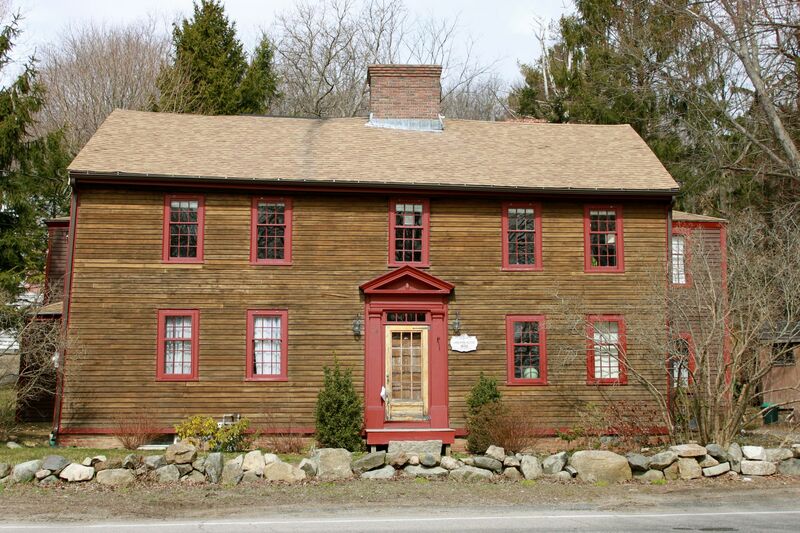 In 1653 Hardy moved to Rowley and John Newmarch succeeded him in ownership of the property. 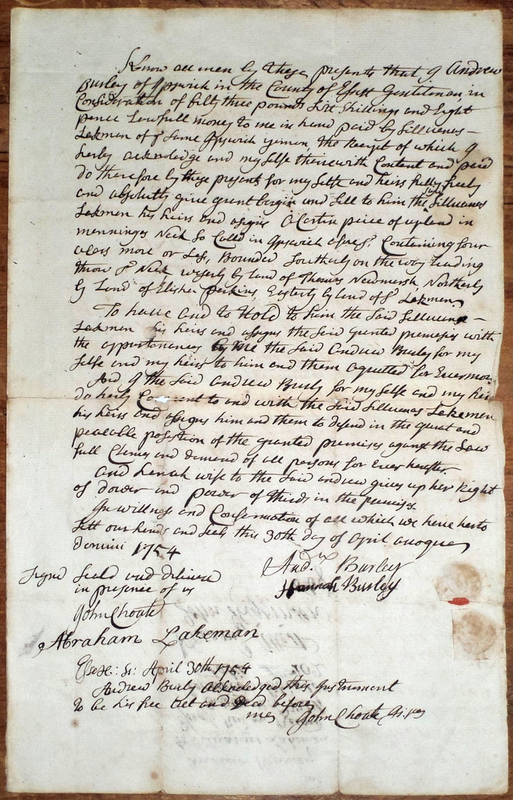 John Newmarch and his twin sons John Jr. & Zaccheus (born in 1653) eventually acquired the lots originally assigned to Mannin, Andrews and Howlett, as well as Hardy’s. 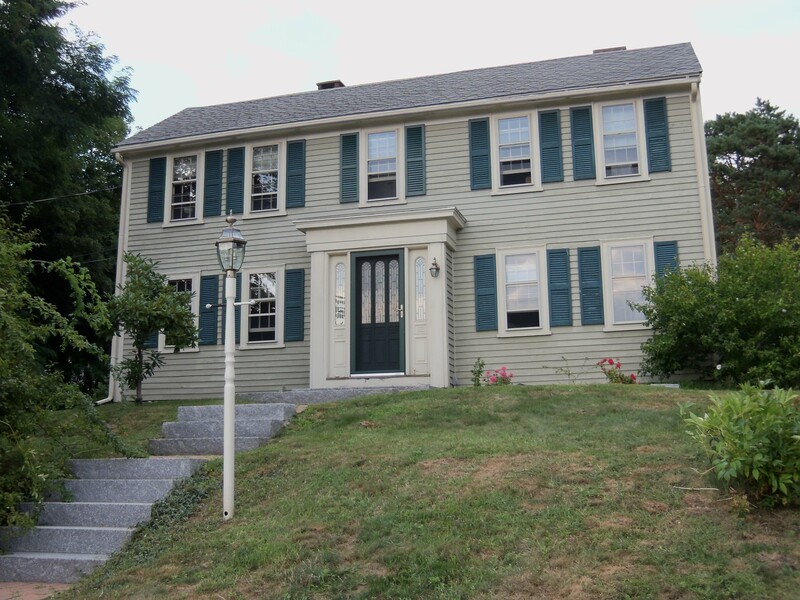 The Newmarch-Spiller house on Agawam Ave. faces the Town Wharf. Gordon, thank you for this. It is interesting to know the ancient history of our old hood that we fondly refer to as “East Sump Pump.” I imagine that cellars were just as damp in those days too.